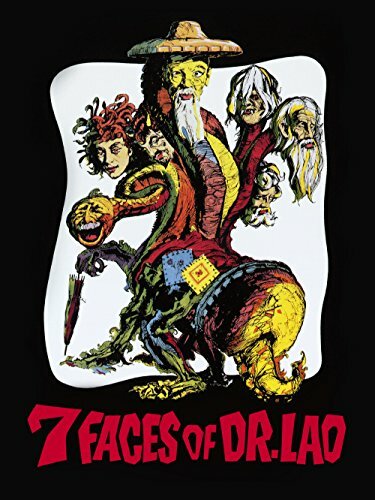 7 Faces of Dr. Lao Buy New $2.99 (as of 12:40 EDT - Details) As Western Civilization completes its entropic collapse, it brings with it more detritus brought about by an establishment failure to understand the basic truth of the chaos principle: complex systems are unable to be controlled to desired ends because of their unpredictable nature. The larger and more far reaching the institutional demands for stability and certainty, the more variation and inconstancy that is encountered. Chaos is destroying our faith in linear processes to predict outcomes (e.g., a + b = 2; a + c = 3; a + d = 4). But at some point in complex systems, nonlinearity takes over (e.g., a + k = 750) producing outcome differences far exceeding their marginal change (e.g., “the straw that broke the camel’s back”). Instead of questioning the assumptions upon which we seek to enlarge the range of our thinking, we find it easier to blame institutional “leaders,” “experts,” or “programs” for their incompetence. Because politics is grounded in the coercive centralization of decision-making authority, those in power are more inclined to replace the incompetent actors. Members of the established order are ever watchful for opportunities to reinforce and maintain their institutional base of power. Even when new or modified systems are brought into existence, the same vertically-structured paradigm tends to be repeated. For instance, the independence that the country of Zimbabwe acquired from Southern Rhodesia did not translate into expanded liberty for the residents or reduced authority for its leaders. Instead, the Zimbabweans found themselves subject to one of the most dehumanizing, restrictive socialistic regimes imposed upon human beings in recent decades. As President Robert Mugabe enjoyed his twenty-five bedroom mansion that was part of his billion dollar net worth, his subjects had to deal with mass food and fuel shortages, mass unemployment, widespread emigration, and the consequences of rates of inflation ranging anywhere from 100,000% to 500,000,000,000%. 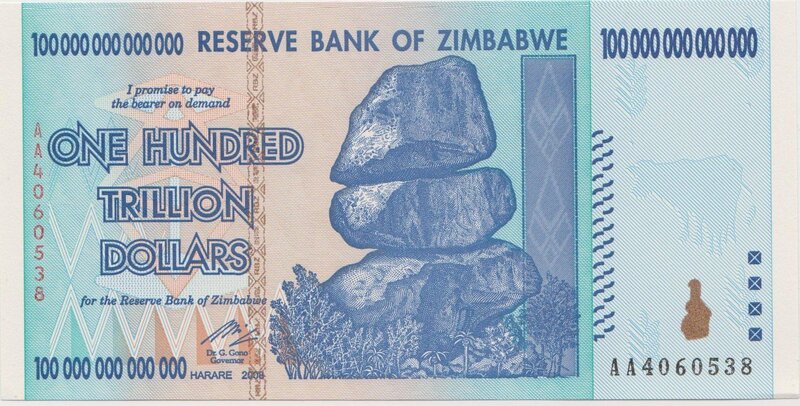 I own a couple of their 100,000,000,000,000 dollar bills, each of which had a purchasing power of about 40 cents in Zimbabwe, and were often found blowing in the streets. I was reminded of the photos of German housewives who, in the 1920s, were shoveling German Marks into fireplaces because they were cheaper to burn than the more expensive firewood. The corruption inherent in socialistic systems is not confined to inflationary policies or the failure to plan for outcomes in complex systems. Outright looting of privately owned property is another dehumanizing feature. Beginning in the year 2000, the Zimbabwe government began seizing white-owned farms and redistributing them to black citizens. Ahhh, the role played by Progressive central planners to bring “social justice,” “egalitarian fairness,” and “prosperity” to this beleaguered country! The unseen and unpredictable forces of chaos have been playing out their turbulence in other parts of the world heretofore known for their relative stability. In much of Europe – the birthplace of Western Civilization – political and cultural convulsions, fueled by massive immigration from Middle Eastern countries, have contributed to the collapse of this once creative and humanizing culture. 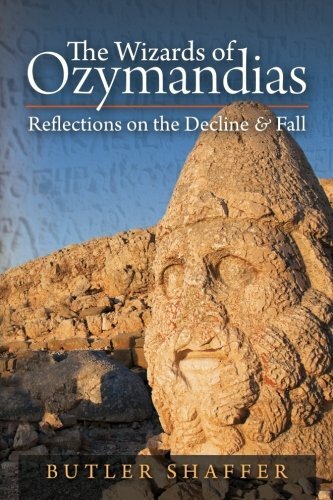 The Wizards of Ozymand... Butler Shaffer, Butler... Best Price: $12.27 Buy New $7.45 (as of 08:10 EDT - Details) In America, meanwhile, the failure of the 2016 voters to elect Hillary Clinton to the White House has been factually unsupported as a conspiracy between Donald Trump and the Russian government. A conclusion closer to the truth is that Trump’s victory was a popular rejection of the American political establishment! The electorate – long tired of a system that did not serve their interests, and weary of a long string of faux “outsider” candidates offered up as “reformers” – managed to gain sufficient control of the electoral system to get Trump elected. The United States government has been so heavily involved in foreign regime changes for decades that, perhaps, the established order thought Boobus Americanus would accept the 2016 outcome as little more than its own dark side projected onto the rest of the world! Establishment owners long ago established the two-party system in order to create the illusion that the American state would operate as a “democracy.” Two parties – controlled by the owners – would select candidates for the highest political offices. It has long been the prerogative of the owners – aided by their institutional agencies such as the mainstream media, academia, and other formal systems capable of influencing public opinion – to choose the voters’ options. Should the electoral process produce a president who proved unsatisfactory to the owners, the Constitution provided two means of removing him/her from power:  the electoral college, whose members could refuse certification prior to being sworn into office;  once inaugurated, the president could be impeached for “treason, bribery, or other high crimes and misdemeanors.” These offenses are quite general and subject to a wide interpretation by members of Congress. Their far-reaching scope was reflected in the Democrats who called for Trump’s impeachment even before he was sworn into office. Did H.L. Mencken get to the essence of campaigning for political power as a “carnival,” a circus atmosphere, an amusement, with which the power-hungry entertained their victims as they schemed to loot and destroy them? If so, might Dr. Lao be the perfect candidate for the highest office in the land? Or, better yet, might he serve as the frontman for members of the political establishment seeking a better image with which to appeal for voters’ support? If Dr. Lao should prove to be unavailable for this public relations role, could the mainstream media, or members of academia be called upon? The Democrats who have undertaken a lemming march to become their party’s 2020 presidential candidate may have seen Mencken’s allusion to politicking as a circus a way of circumventing the dilemma generated by Trump’s election. 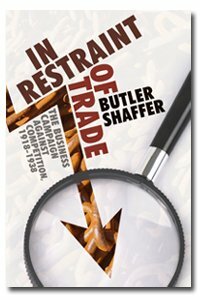 The established order cannot survive a no-holds-barred, factual inquiry into the realpolitik nature of the state. The entertainment atmosphere of a circus may be just the remedy for overcoming the failure of expectations of political ordering. Perhaps CNN can get into the spirit of things by renaming their channel the Carnival News Network! Meanwhile, candidates parading as “socialists” have already put their names into consideration, thus restoring economic stagnation, inflationary policies, and distorted markets; and upsetting whatever economic benefits the Trump administration has encouraged. And who better to start a circus than a gang of clowns. Of course, as we have seen in Zimbabwe, and earlier in such socialist regimes as the Soviet Union and Nazi Germany [you do recall Hitler’s National Socialist German Workers’ Party], these systems didn’t leave many people laughing. More true believers in the established order will soon be showing up to announce that the Trump supporters – the “deplorables,” the “excrement,” or “freeloaders,” as stigmatized by some Democratic leaders – will not get away with behaving as though American politics is really governed by democratic principles. Given the marketplace interest in alternative currencies (e.g., Bitcoin and other crypto currencies), a Democratic candidate or two is likely to take on this issue. Perhaps Sen. Elizabeth Warren – recently separated from her make-believe Cherokee brethren – may discover a genuine ancestry line in Josiah Warren, a 19th century social philosopher. Josiah had founded what were known as “time stores,” an economic system based on the “labor theory of value” in which the pricing of goods and services would be based on the amount of time it took to provide it. Not only do Josiah and Elizabeth share the same last name, but are both from Massachusetts. Elizabeth will need to be careful on making this connection, however, as Josiah was a very thoughtful and articulate anarchist philosopher. Perhaps some of these self-styled “Progressives” could recall the history of economic reforms proposed and enacted into law by their predecessors. Modern-day Luddites might emulate the machine-breaking riots of their Industrial Revolution ancestors, or join with current anti-trust lawyers to accomplish the same ends through legislative means. Meanwhile, advocates of animal rights, vegetarianism, and anti-vivisectionism, might come together to select a Democratic candidate to advance their shared cause. Nor can we ignore the long-forgotten Anti-Saloon League – which later became part of the National Temperance League – which might support a candidate to oppose efforts to legalize marijuana. Perhaps Dr. Lao could lend one of his characters, the Medusa, to be a spokeswoman for this group. Any person who looked upon the face of Medusa was immediately turned to stone. And as marijuana users often speak of getting “stoned,” well, you see the connection. If you need clarification, tune in to CNN!